Join us for a once-in-a-lifetime concert of famous arias, performed by Taryn Fiebig and Lorina Gore with Siro Battaglin. 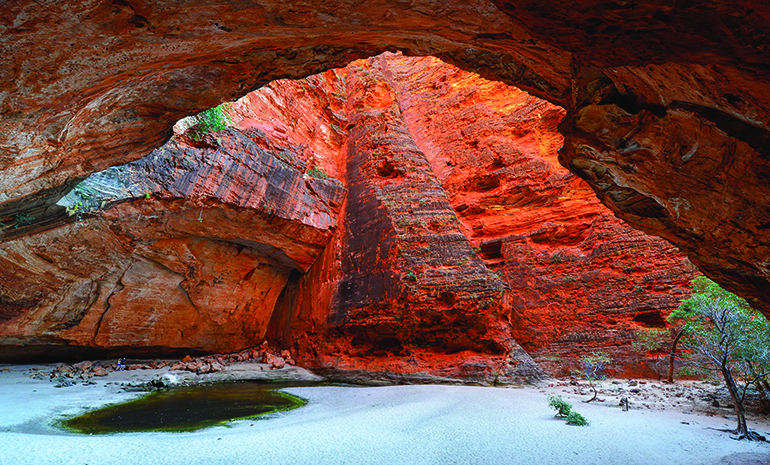 Set in Cathedral Gorge, nestled amid the towering beehive domes of the spectacular Bungle Bungle Range. Providing the perfect stage for such a powerful performance, Cathedral Gorge is a remarkable natural amphitheatre, renowned for both its natural beauty and acoustic brilliance. Taking place on one of the world’s most remote concert stages, this special event is not one to be missed. It's sure to be one of the greatest highlights of your Kimberley Wilderness Adventure. Tickets are available as part of selected APT Kimberley packages. Over three, nine or fifteen days, explore the highlights of the Kimberley with no more than nineteen other travellers and an expert driver-guide aboard a custom-designed 4WD vehicle, with stays at APT exclusive Wilderness Lodges. Enter the competition for your chance to win a fully inclusive three-day getaway to World Heritage-listed Purnululu National Park in Australia’s far North-West.